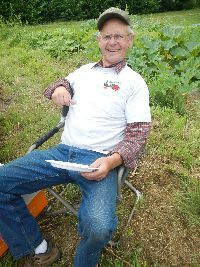 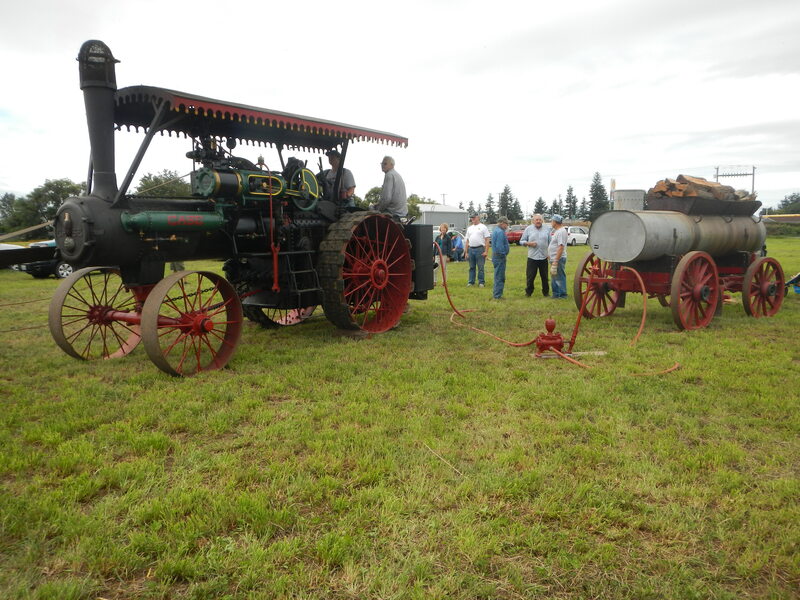 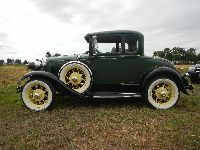 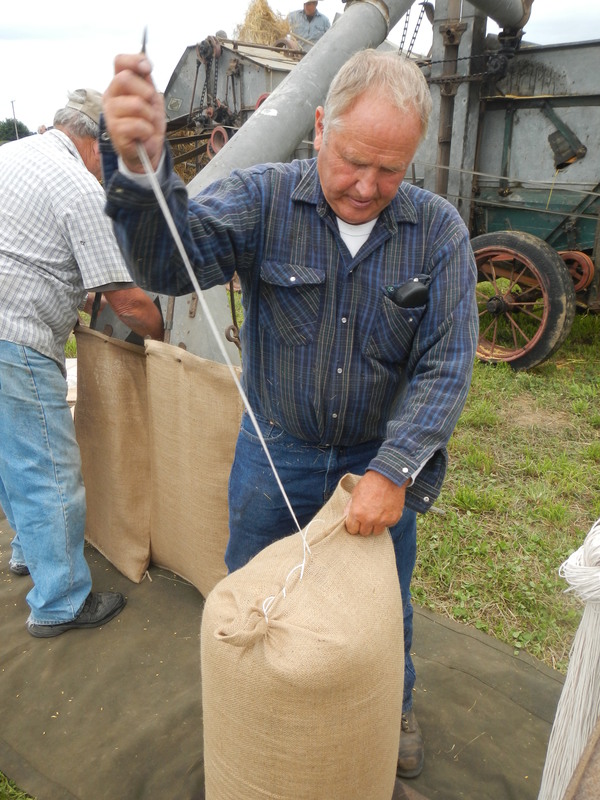 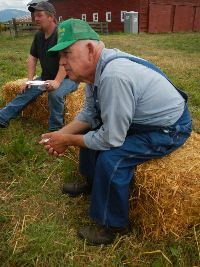 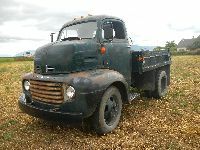 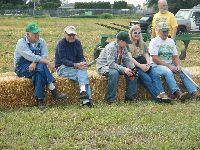 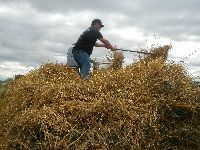 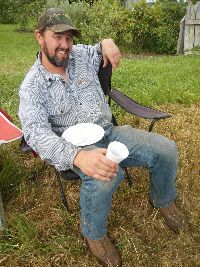 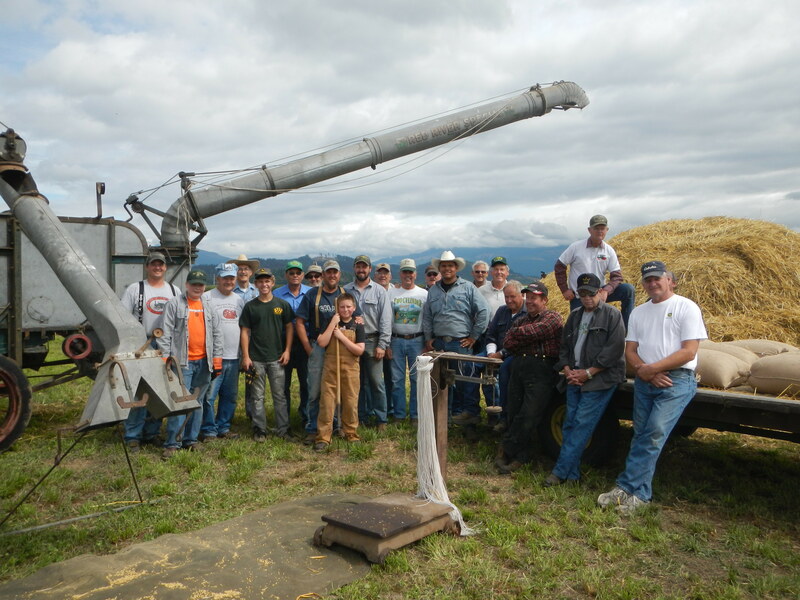 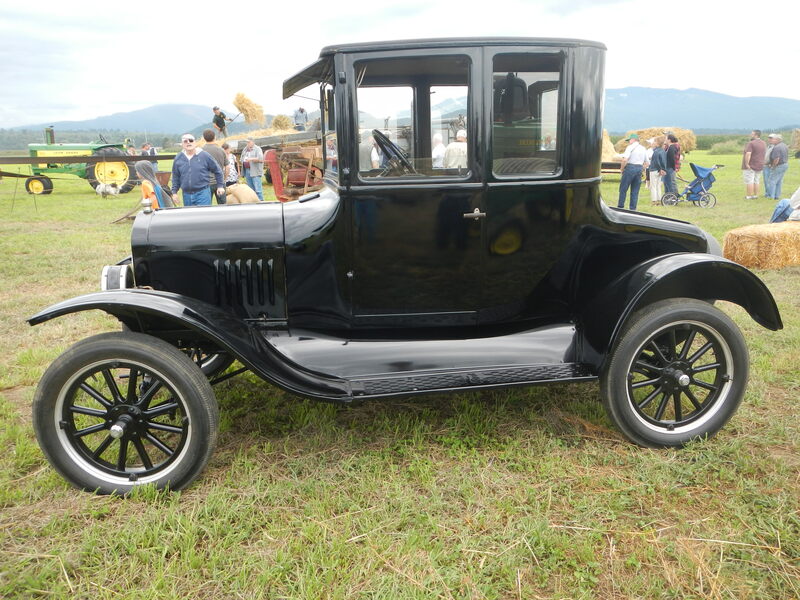 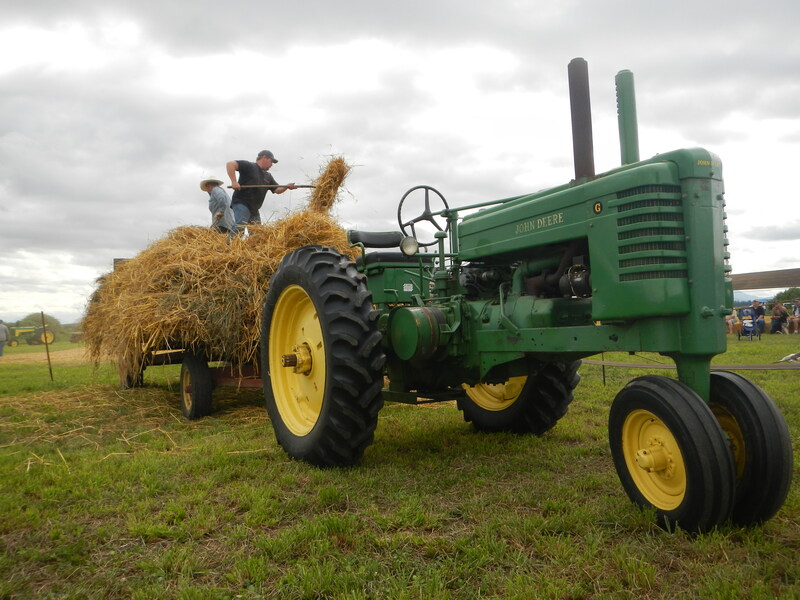 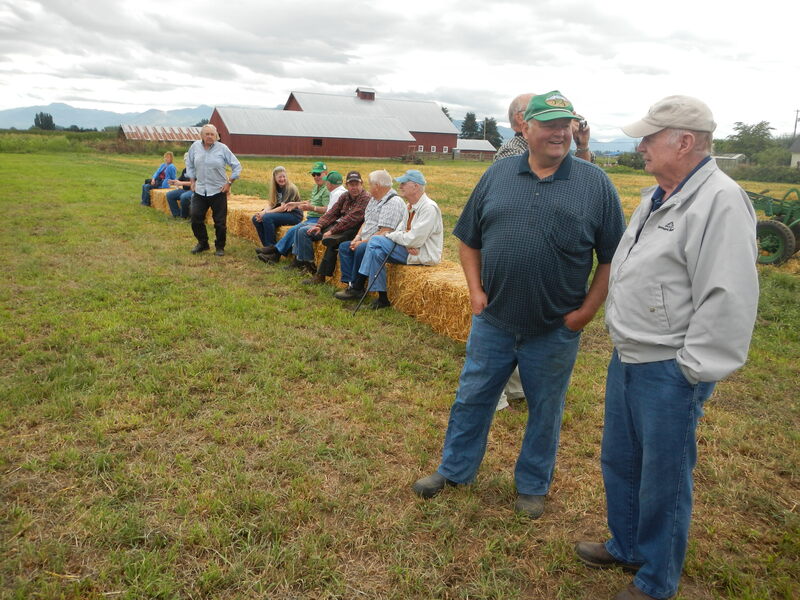 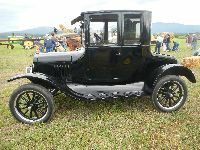 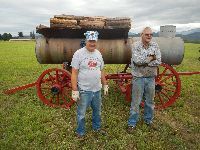 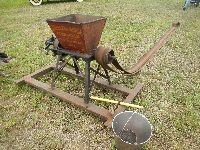 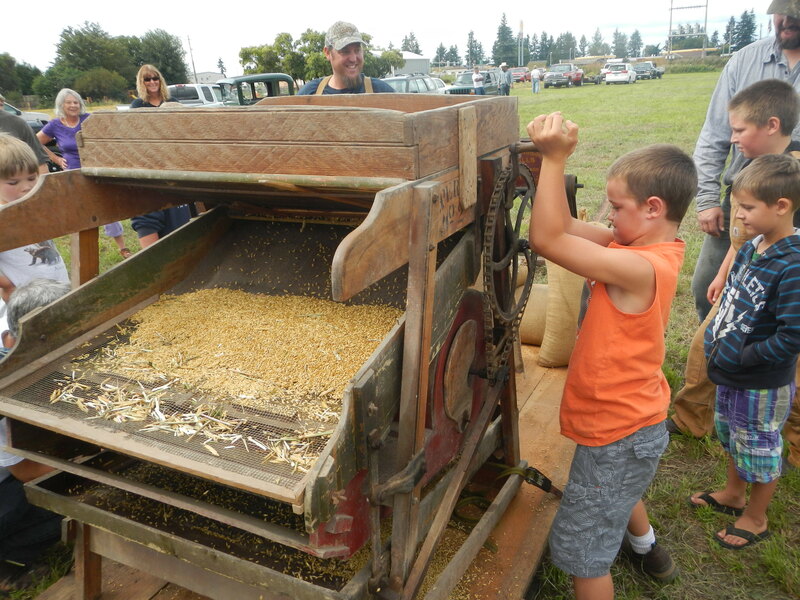 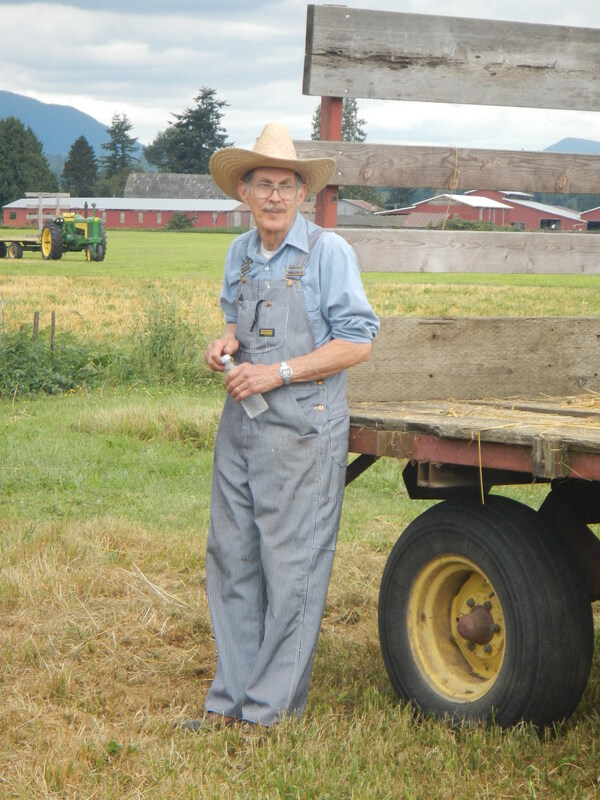 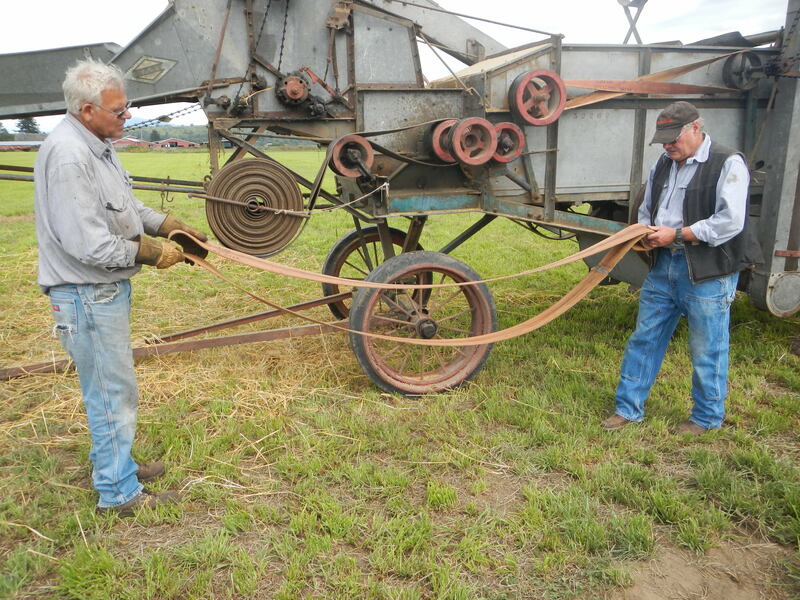 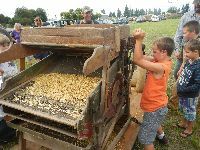 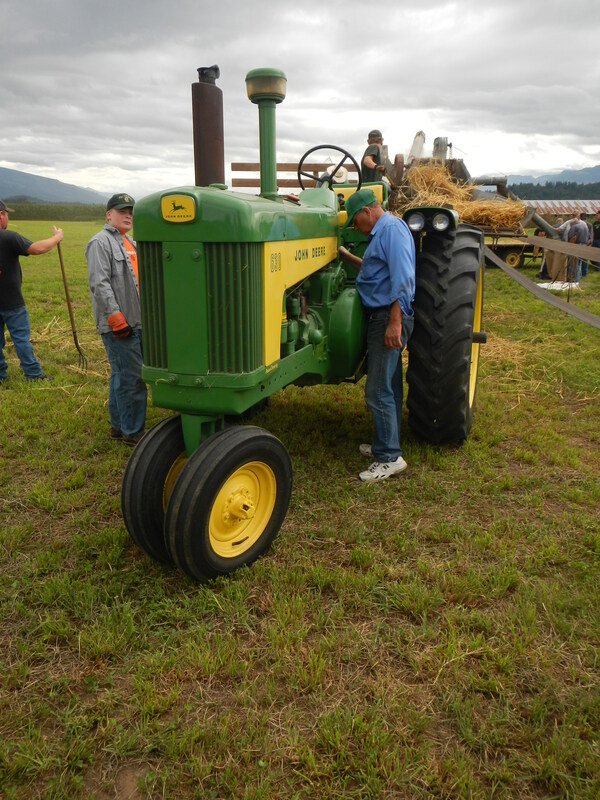 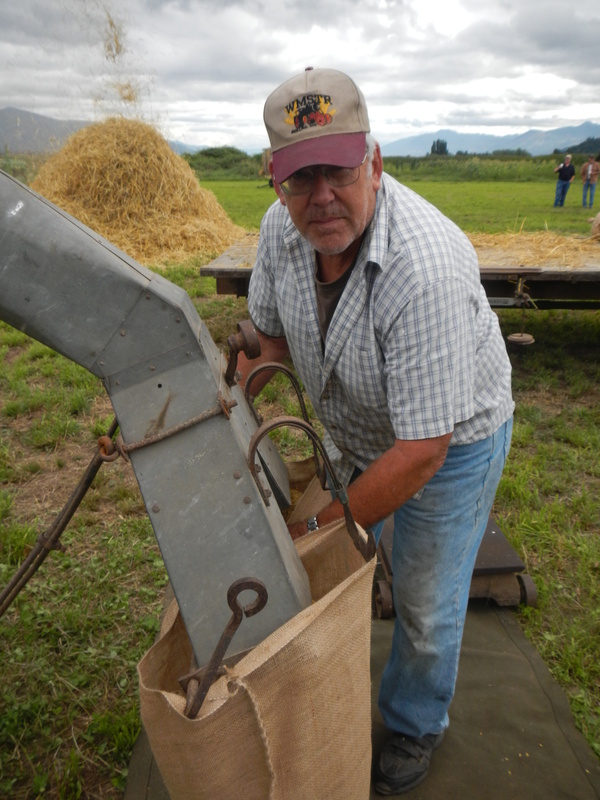 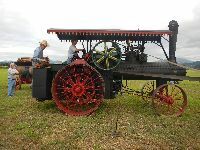 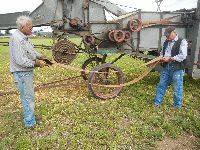 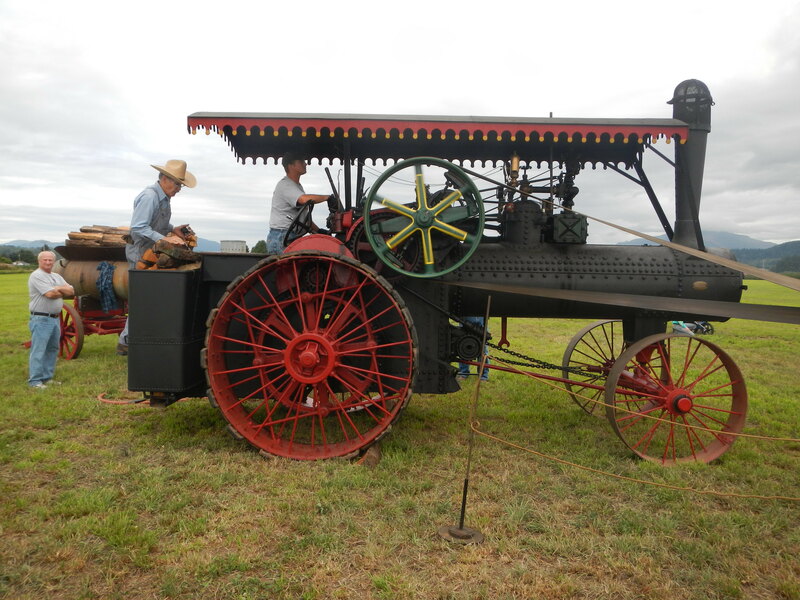 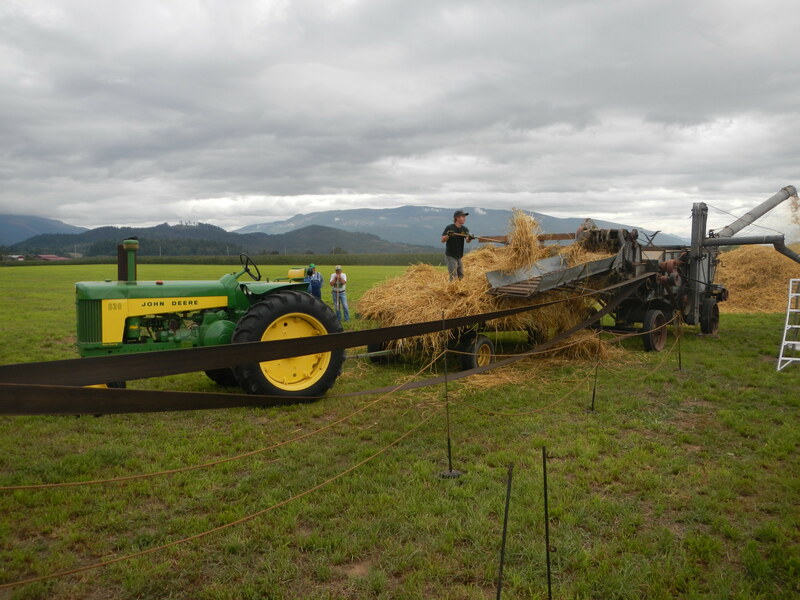 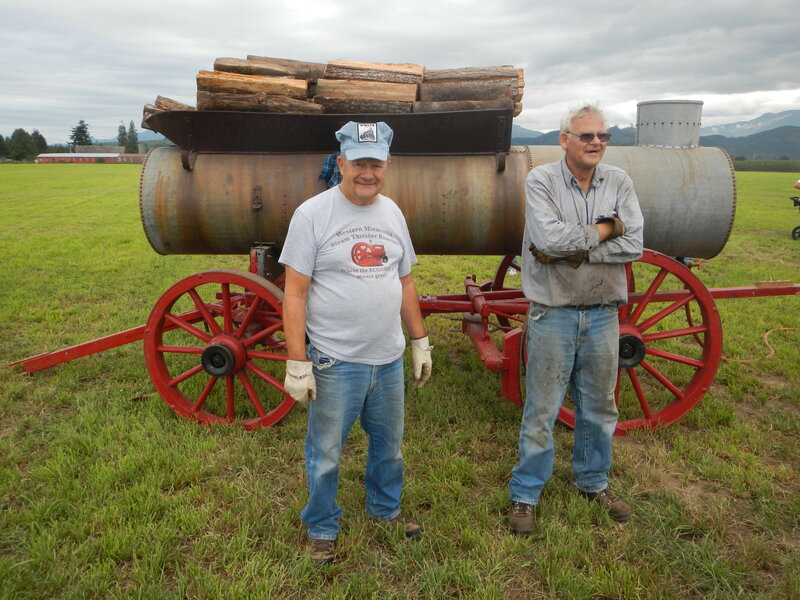 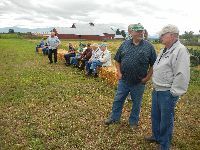 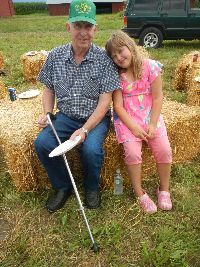 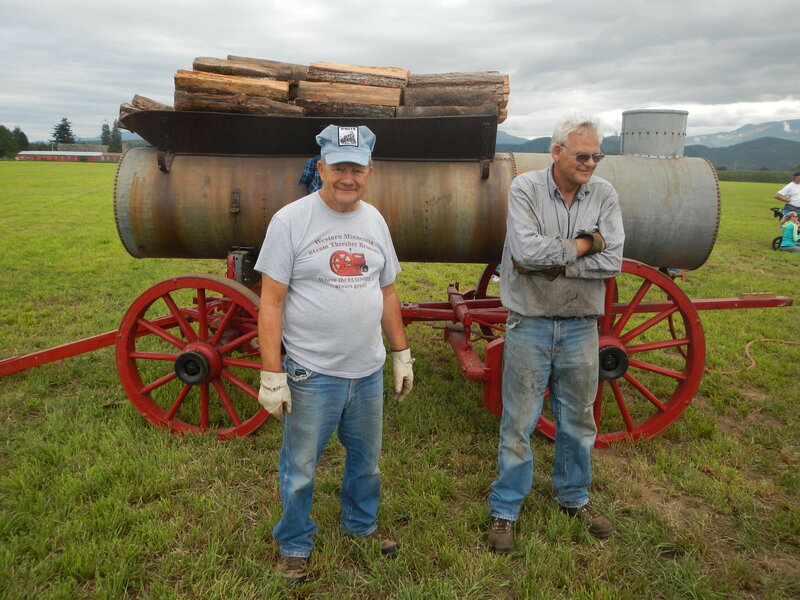 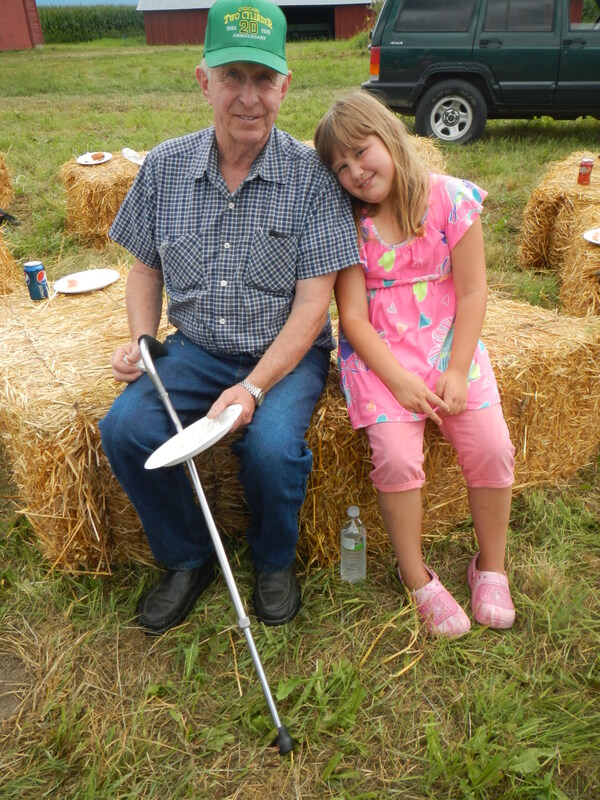 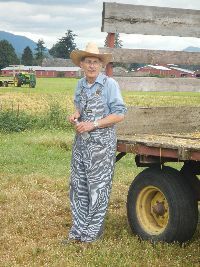 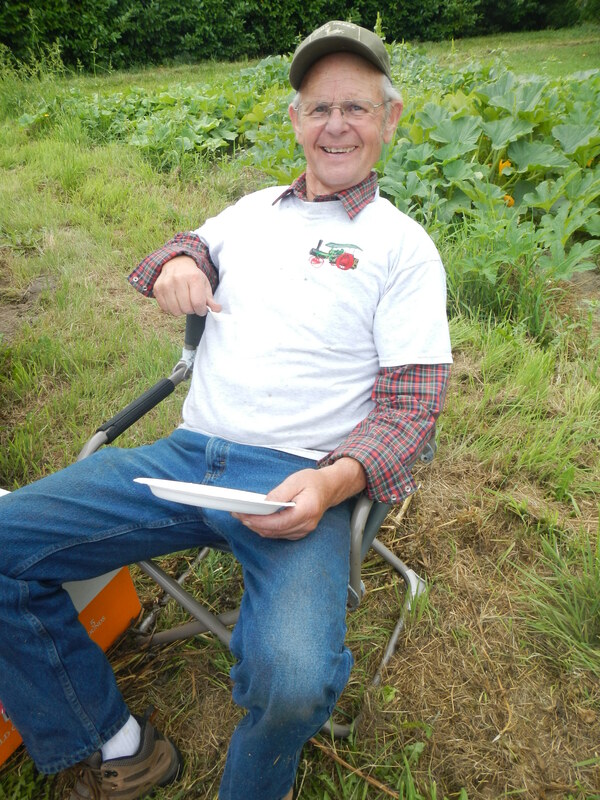 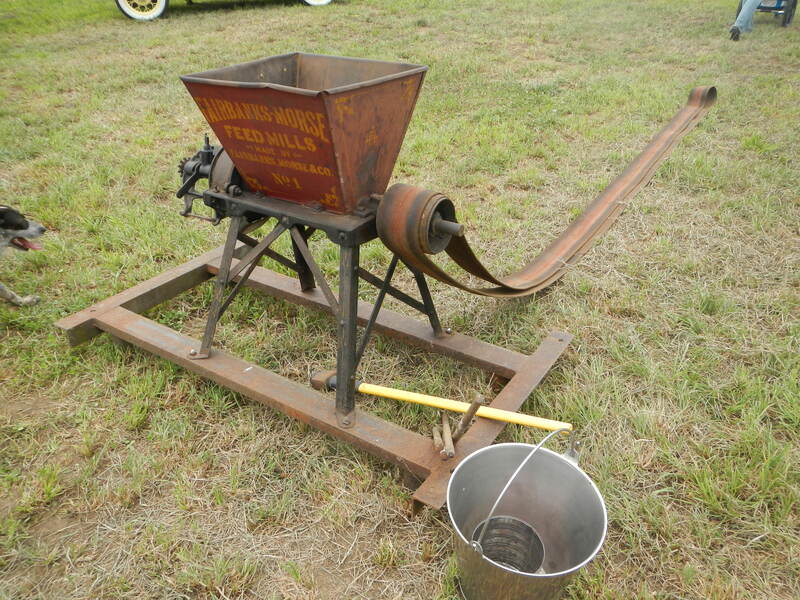 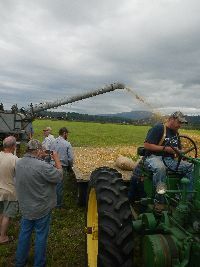 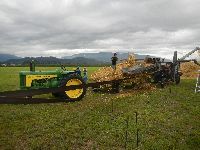 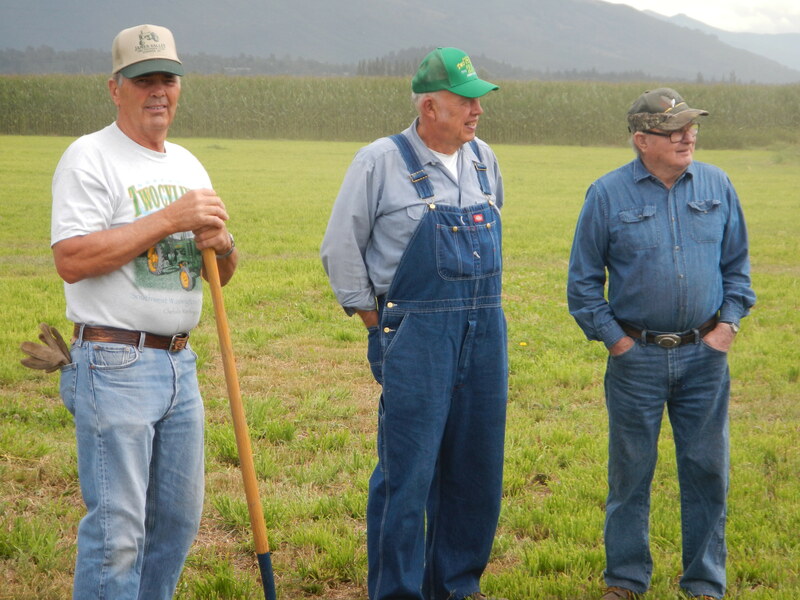 Annual Bellville Threshing event at Oscar and Nels Langerlund, Green Road, Burlington, WA. 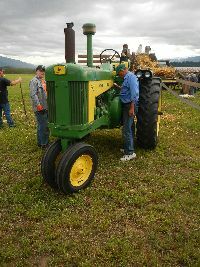 Cloudy day but no rain. 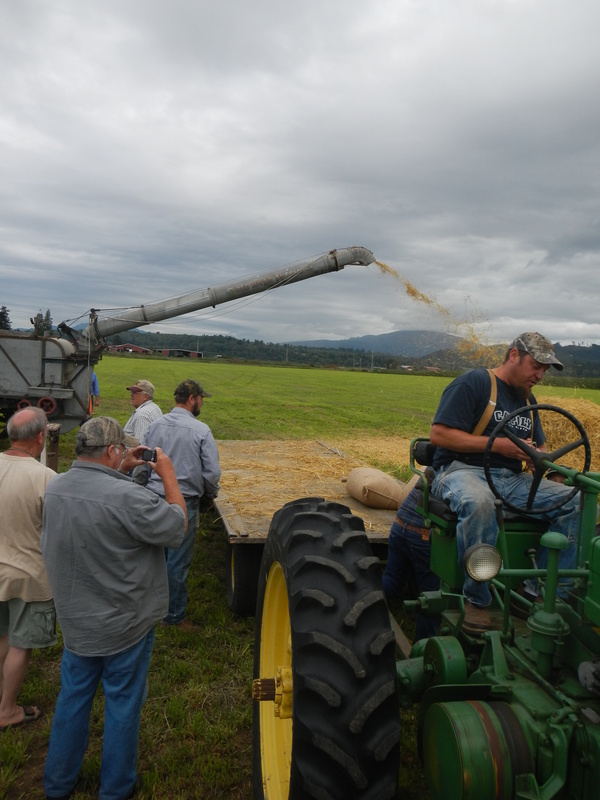 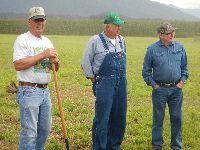 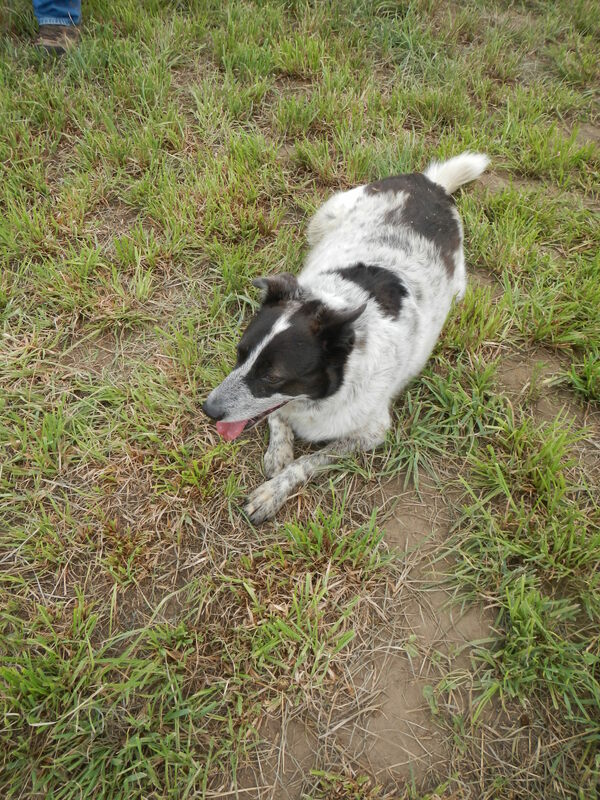 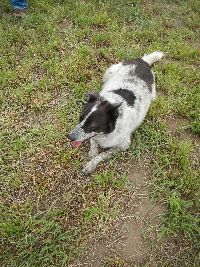 Four wagons of grain were threshed by noon. Lunch provided after noon.